One of the benefits of staying in Wombats Hostel was the many guest discounts available at nearby restaurants and attractions e.g. 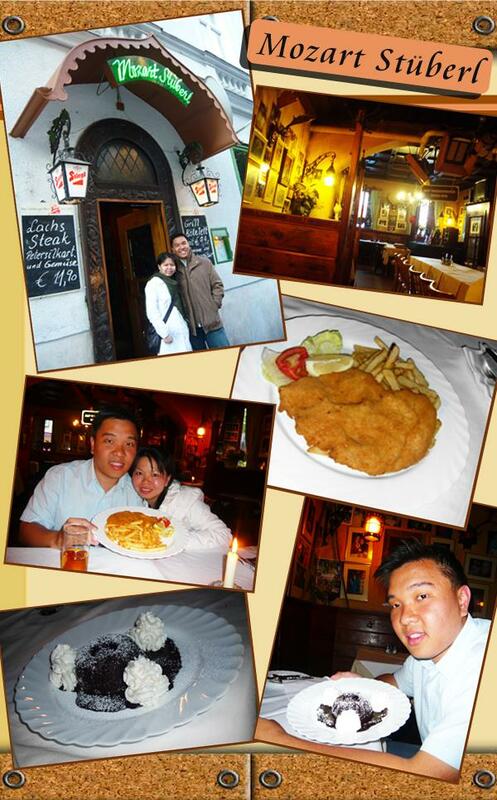 Wombats guest get to enjoy a Wiener Schnitzel for just €6 (usual price: €10) at the Mozartstube. We ordered a Wiener Schnitzel and a chocolate cake dessert. I loved the ambiance at Mozartstube! I kind of like these dimly lit bars/eateries in Vienna, and I think it’s a big part of the whose Viennese atmosphere. Since I’m a smoker, the smoke doesn’t bother me. But I see your point with the smoking/non-smoking section. Still, there are worse restaurants in Vienna!